Replace all cordless phones in your home with corded ones, switch off your router, and put your cell phone in airplane mode before bed to improve sleep, and avoid the serious, cumulative effects of radio frequency radiation exposure. 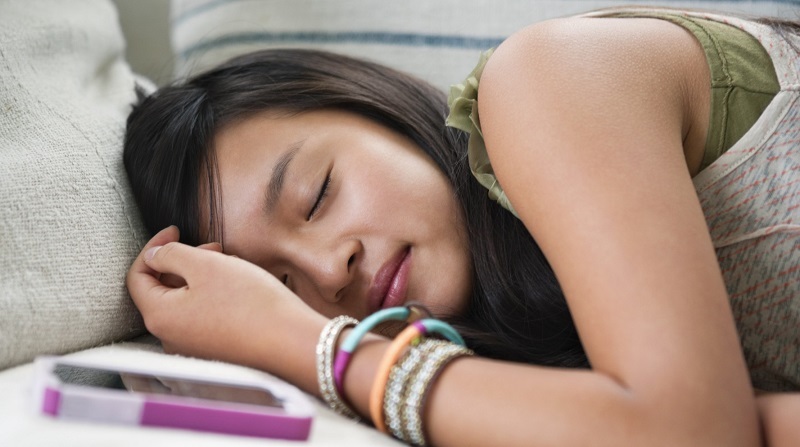 With frequent reports of people struggling to fall asleep and stay asleep throughout the night, researchers studied the effects of radio frequencies from cell phones and the impact they had on sleep. Conducted in 2007, the study exposed participants to either electromagnetic signals from real phones, or no signal from fake phones. The researchers found that those exposed to the radio frequency radiation had a significantly more difficult time falling asleep, and they also observed changes in critical brainwave patterns. A Belgian study investigated adolescent use of cell phones for calling texting after ‘lights out’, and found that mobile phone use after ‘lights out’ is “related to increased levels of tiredness,” and “there is no safe dose and no safe time for using the mobile phone for text messaging or for calling after lights out,” concluded the researchers. What are the effects of the disturbed sleep? Impaired learning, memory and concentration. Ultimately, the likely cause of all of the above symptoms of lack of sleep are the stress hormones produced by the body. Sleep is supposed to be a relaxing time for your mind to process experiences, thoughts and emotions from the day, and for your body to repair and regenerate tissues, all within a peaceful, relaxed state. How is your body and mind supposed to accomplish these tasks if there are ambient radio frequencies, inflicting a constant state of stress on all your cells? A study conducted in 2009 found that “low energy EMF interacts with DNA to induce the stress response”, meaning the electromagnetic fields emitted from all wireless devices such as cell phones, routers, and cordless phones stress every cell in your body. The author goes on to report that “increasing EMF energy in the RF range can lead to breaks in DNA strands”. Breaks in DNA Strands of brain cells!? What we’re talking about here is brain damage at a genetic level from cell phones. What frequency caused genetic damage in rat brain cells? I dug up the study that the previous study author was referring to, where broken DNA strands were caused by radio frequencies, so we can figure out the frequency that caused this, and relate it to our lives. In 1996, electromagnetic field researchers conducted a study and by exposing radio frequencies to rats (at 2,450 MHz or 2.45 GHz), they discovered broken strands of DNA in brain cells of rats. Even more frightening is this genetic brain damage occurred after only 4 hours of exposure! That’s about half the length of a good night’s sleep. Stated differently, the amount of time it takes for radio frequencies to cause possibly irreversible brain damage to rats, is experienced by most human beings twofold every night during sleep, not to mention the unending exposure during the day in the home, or while at work or school. All devices that communicate wirelessly utilize radio frequencies in a range less than 300 GHz. We are going to detail frequencies used by the most common RF-emitting devices in the home. Note: Frequency means the number of electromagnetic waves passing a given point in one second, so its the speed at which the energy pulses, and different frequencies have different biological effects. Cell Phones – Though the frequencies keep increasing as each new generation of cell phones requires more power, a conservative estimate would be to say cell phones emit around 900 MHz. When connected to WIFI, they emit as much as a router. Smart Meters – The frequency of operation is typically in either 900 MHz or 2.4 GHz bandwidths. When you wake up in the middle of the night to find yourself breathing heavily and your heart pounding, your body is in a state of stress. A good indicator of stress is a pulse rate above 85 beats per minute. During a state of stress, what is occurring is adrenaline, cortisol, estrogen, aldosterone, serotonin and other stress hormones have increased their presence in the bloodstream. Stress is not only what wakes you, but it can prevent you from falling back asleep, or from initially falling asleep if you’re just going to bed. This presents an enormous problem, considering a parasympathetic or relaxed state is required for sleeping, and radio frequencies all around us direct our central nervous systems towards a ‘fight or flight’ sympathetic state. A good choice for a stress-busting and sleep-promoting snack before bed is orange juice with a generous pinch of unrefined salt inside. A 2007 study found that eating sugar balances energy, reduces stress and reduces depression. “Since this discovery”, reported researchers, “a diverse set of literature that supports this view of glucocorticoid feedback has been found,” meaning the finding that sugar reduces stress hormones has also been found by other researchers numerous times since this study. 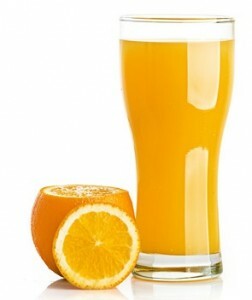 Fresh fruit, orange juice, and milk are good carbohydrate choices before bed. In addition to stress-busting sucrose, these carbohydrates also contain anti-stress minerals (magnesium, potassium, and calcium) which benefit metabolism and quality of sleep. A good choice for a stress-busting and sleep-promoting snack before bed is orange juice with a generous pinch of unrefined salt dissolved inside. Regardless of how much salty and sweet snacks you eat or drink before bed, the electromagnetic frequencies in your surrounding environment will cause you stress, if not taken care of and minimized. Providing yourself with a sleeping environment that restricts wireless radio frequency pollution to the absolute least amount possible, is one of the most critical steps you can take to safeguard your health and improve sleep quality. Replace all cordless phones in your home with corded ones, switch off your router, and put your cell phone in airplane mode before bed to avoid the serious, cumulative effects of radio frequency radiation exposure, and improve sleep.